Click here to pay for apparel, fees and other items. There is no charge for this event and free food will be provided! Come out and enjoy music, food, and fun! We apologize for needing to move the date of this event due to the hurricane. Enjoy the autumn season with the newly led Orchestra teams by Orchestra Director, Ms. Alice Ju! $5.00 per ticket when purchased in advance. A mesmerizing Concert by Rock Violinist from Trans Siberian Orchestra and a collaboration of students from 3 high schools and 3 middle schools! We appreciate the sponsors that are supporting us. ​If you would like to be a sponsor also, please contact Mr. David Wilson (email above). All winners will be announced. If not present, they will be contacted. Silent Auction winners need to come pick up their items for purchase. ​Thursday, April 27th at 7:00 PM! 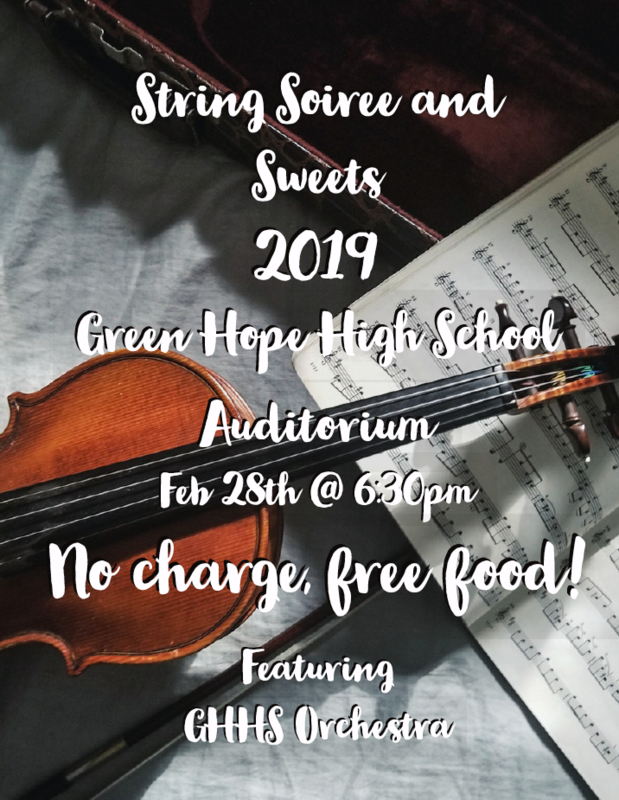 Don't miss our incredibly talented students! Congratulations to the 27 students who were selected for the Eastern Regional Orchestra! A new school record! For a full list of the selected students, click here. Green Hope High School Fine Arts is now accepting applications for our new chapter of the Tri-M Music Honor Society. Please click ​here for the application and further information. 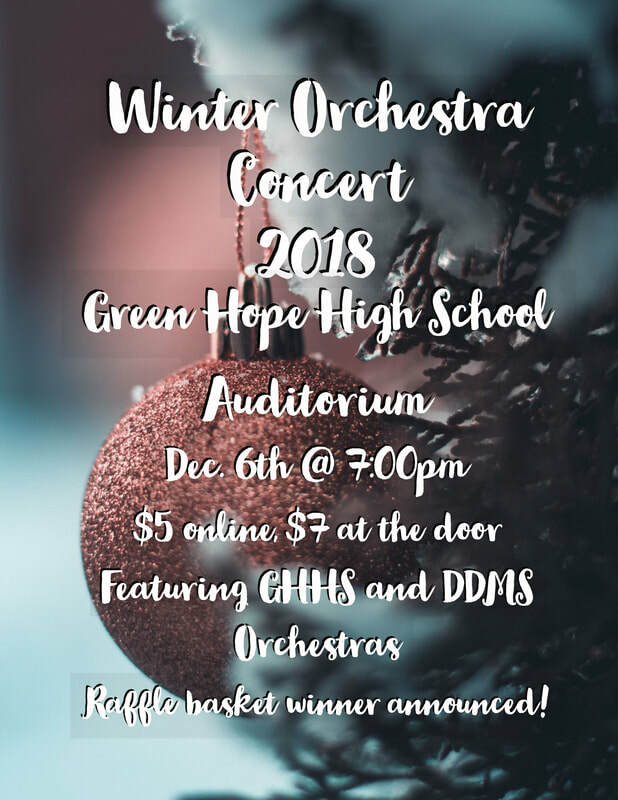 Green Hope Orchestra is selling beautiful products from Yankee Candle®! They will earn 40% of every dollar you spend. To make a purchase go to www.yankeecandlefundraising.com and then under Start Shopping, enter Group Number 990107655. Shop online 24 hours a day, 7 days a week – everything is shipped directly to you. Orders can be placed until January 12, 2017. Congratulations to Shania Khoo, Deborah Kim, Jeff Yi, Jessica Yang and Kevin Chang for representing Green Hope at the 2016 NC Honors All-State Orchestra! Shop for unique Holiday gifts at the same time? We have a One Stop Shop for You!